(SPOT.ph) If we could only choose one type of meat to eat for the rest of our life, it would probably be chicken. Okay, that might change if you ask us in front of steak or lechon, but for now, it's chicken—roast, fried, steamed and served with ginger and soy sauce, or doused in hot sauce. You doubt our poultry obsession? Scroll down to see our favorite chicken dishes. 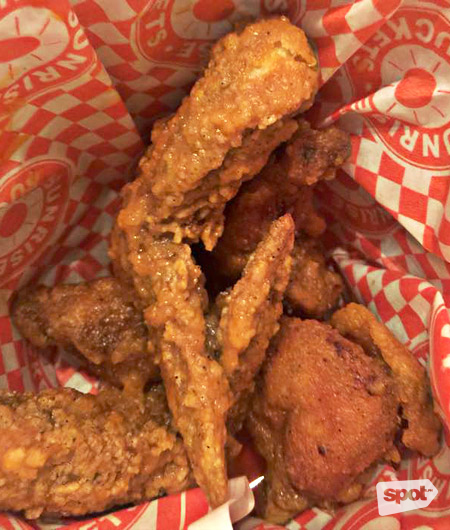 Primarily known for their Canadian-inspired dishes (like a mean poutine), this sunny spot along McKinley Road serves seriously comforting fried chicken. Paired with fragrant herbed rice and buttery garlic sauce, this fried chicken dish appeals to the Pinoy palate while staying true to its Western roots. The crispy skin is impervious to the sweet sauce coating the chicken so you get crunch and flavor with every big bite. 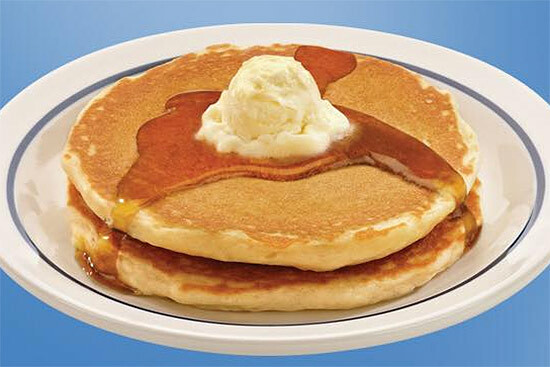 A hefty serving with a very slim price tag, this is something we wouldn’t mind having over and over again. Main Street is at Tuscany, Upper McKinley Road, McKinley Hill, Taguig City. 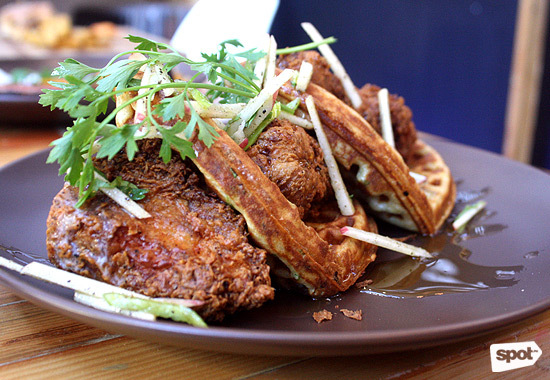 Main Street's Buttermilk Fried Chicken ranked No. 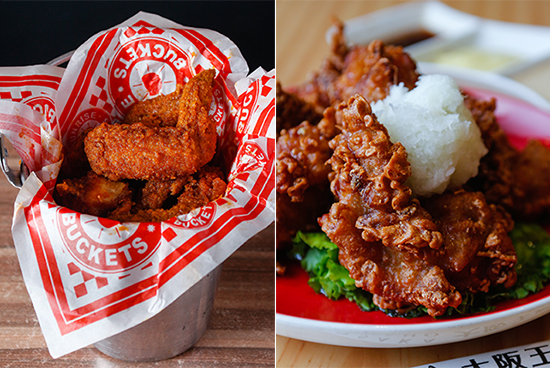 4 on SPOT.ph's Top 10 Fried Chicken in Manila (2016 Edition). Yes, it's owned by actor Joel Torre—but that's not the reason why people flock to it. Their pecho (P92 without rice) sets itself apart from the competition because its tanginess is complemented by the distinct flavor of ginger. We don't know if they used more ginger for their marinade, but we know that this inasal tastes damn good. Click here for a list of JT's Manukan Grille branches. JT's chicken inasal ranked No. 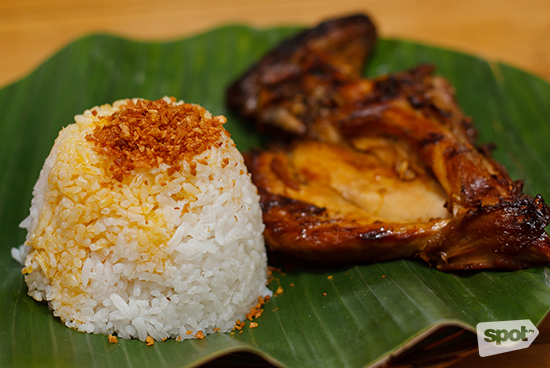 1 on SPOT.ph's Top 10 Chicken Inasal (2012 Edition). Although it looks like the usual fried chicken skin dish, when you dig into one (or four), you taste the subtle difference that the salted egg yolk brings to your palate. It not only brings a different taste, but it adds an interesting texture, too. Backyard Kitchen + Brew has branches at UP Town Center, Katipunan Avenue, Diliman, Quezon City; The Grove by Rockwell, E. Rodriguez Sr. Avenue, Pasig City; and Circuit Lane, Makati City. 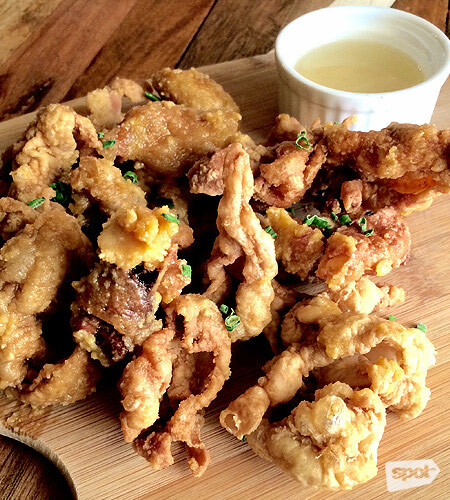 Backyard's Salted Egg Chicken Skin is included on SPOT.ph's 10 Chicken Skin Dishes Worth Breaking Your Diet For. At Osaka Ohsho, you can choose to have your karaage with a trio of sauces (wasabi, mayo, and miso) or with grated radish on top. Our pro tip: Get both! The chicken is ridiculously tender, and the skin has just the right amount of flavor. (Honestly, those extra garnishes are just for those who like added dimension in every bite.) Eating this almost makes you forget about their signature potstickers. Osaka Ohsho has branches at 3/F SM Mega Fashion Hall, Mandaluyong City; and SM North EDSA, Quezon City. Osaka Ohsho's karaage is ranked No. 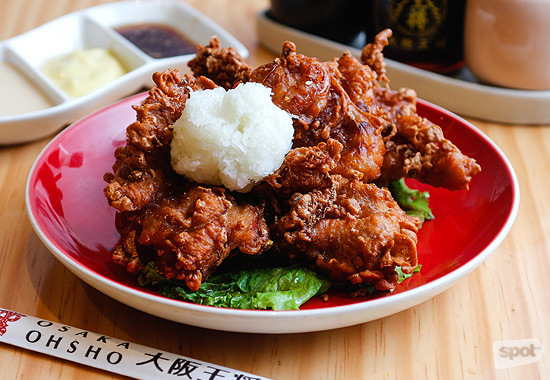 5 on SPOT.ph's Top 10 Chicken Karaage (2016 Edition). Crispy and buttery (the really, really good kind), we can't help but wonder if Sunrise Buckets fries their wings in golden butter instead of oil. Let it be so! That decadent flavor seeps well into the meat, and it gives off a whisper of heat that builds as you make your way through the basket. For its consistency, affordability, and the cool use of butter, it's obvious why Sunrise Buckets is on top in this round. Sunrise Buckets has branches at The Grove By Rockwell, C5, Pasig City; and Madison Square, Madison Street corner Ortigas Avenue, Greenhills, San Juan City. Sunrise Buckets' Original Wings ranked No. 1 on SPOT.ph's Top 10 Spicy Wings (2015 Edition). The family behind this Legazpi Market favorite is so committed to their creation that they even had a grill custom-made to ensure that they get the most amazing cookery out of their chickens (it's an interesting piece of machinery—a rotating grill that looks like a rotisserie). One of the owners, Jonathan Renato, tells us that their chicken is made in the Portuguese-style, but not necessarily Portuguese. A total of 14 spices (only seven are used in traditional Portuguese cooking) are used to exact that peppery flavor, a technique developed in Africa. Frangos serves their butterflied specimens with three sauces: chili garlic, green harissa, and tomato piri-piri, all made fresh in the morning. The fun is in the mixing and matching to discover the best sauce profile for your palate. You don't need it, though. Get a Frangos Rice with the chicken and you're just as satisfied. Frangos is at Buma Building, 9595 Kamagong Street, Makati City. 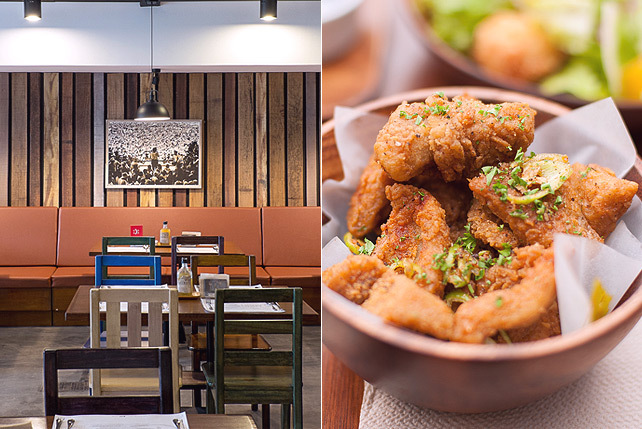 Frangos is included on SPOT.ph's 10 Peri-Peri and Peruvian Chicken Places to Try. You wouldn't expect exceptional roast chicken from a place that doesn't seem to operate a rotisserie. Who knew that Relish at Ponte's sophisticated vibe would be the perfect hiding place for this taste of heaven? Every morsel is a melt-in-your mouth experience, with spices like garlic and oregano that stay with you down to the very last fall-off-the-bone piece. Paired with aioli, herbed rice and a side of chicken drippings? Even better! When we say there aren't any words to describe this wonder, just believe, get up and get going. You can thank us later. Relish at Ponte is at 120 Valero Street, Ponte Salcedo Building, Makati City. 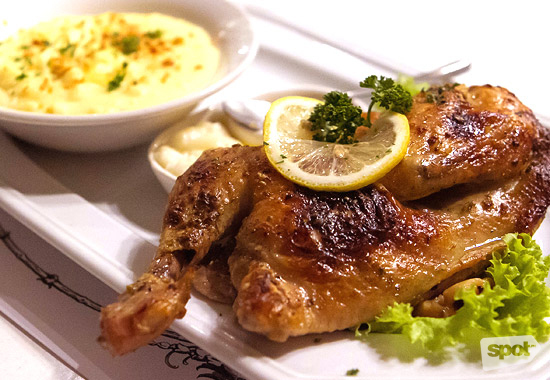 Relish at Ponte's Roasted Chicken is ranked No. 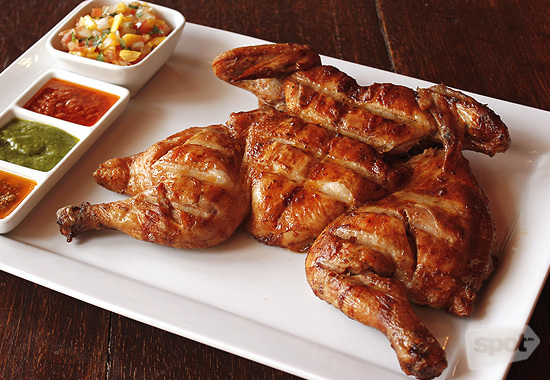 1 on SPOT.ph's Top 10 Roast Chicken (2015 Edition). If you equate Indian curry with "OMGWTF" spiciness, Swagat is the place to go. 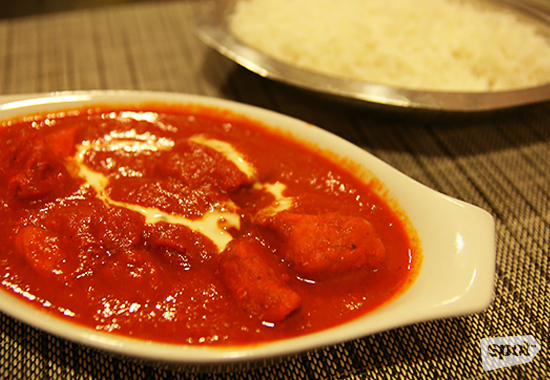 Their Chicken Tikka Masala should come with milk, in case you want to start feeling your taste buds again mid-meal. Don’t worry, the distinct flavor of curry punctuates each hot bite of the tender chicken. Swagat Indian Cuisine is at 119 Rada, Legazpi Village, Makati City. Swagat's Chicken Tikka Masala is included on SPOT.ph's 10 Crazy-Awesome Curry Dishes You Should Be Eating Now. Manila has a huge selection of Chinese restaurants that offer rice toppings. The thing is, not every restaurant is keen on making a chicken rice bowl easy to eat for its customer. For this, we have Tim Ho Wan to thank. If their popular pork buns are not enough for you, consider getting some rice in your belly with this flavorful dish. Tender cuts of chicken without the bone are mixed with sausage and mushroom topped over rice and lavished with a signature sauce. It’s a simple dish that is comforting, satisfying, and best of all, quickly served and easy to chow! Tim Ho Wan has branches at SM Mega Fashion Hall, Mandaluyong City; Robinsons Ermita, Manila; Glorietta 3, Makati City; and SM North EDSA, Quezon City. 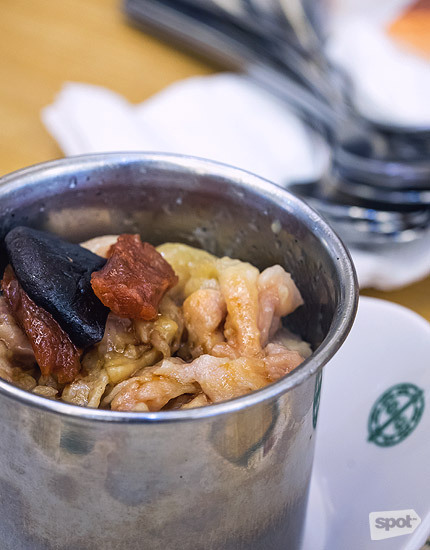 Tim Ho Wan's Chicken Sausage Mushroom ranked No. 8 on SPOT.ph's Top 10 Rice Bowls for Crave-Worthy Carbs. Stevie's offers only one serving size and that's a whole chicken good for five priced at P980. The chicken from this pick-up joint is neither too plump nor too thin, and most of the meat has been deboned. The accompanying rice and sauce are good but the chicken proves to be the star. It has a great texture and flavor that exceeds expectations. Stevie's is at 21 Libra Street, Bel-Air Village, Makati City. Stevie's Hainanese Chicken ranked No. 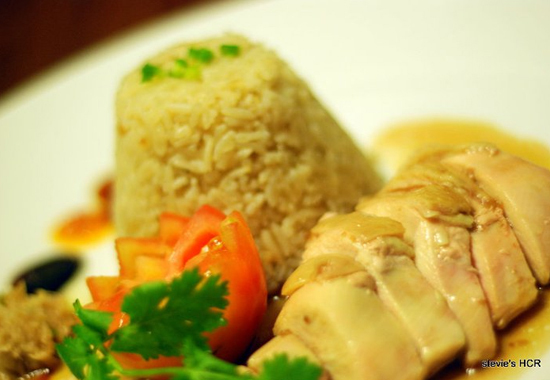 1 on SPOT.ph's Top 10 Hainanese Chicken in Manila (2011 Edition).